Always talk to your doctor about Minoxidil, your condition and your treatment. But what exactly to ask your doctor to make sure you are both covering everything you need to know about Minoxidil 'Minoxidil; Third Edition' presents readers with a whole new set of 613 pivotal questions to discuss your situation with your healthcare provider, consider your options, and help you make decisions that are right for you. 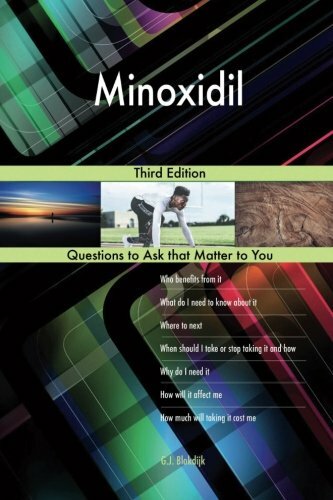 'Minoxidil; Third Edition' poses questions that Minoxidil medication users didn’t even know they needed to ask. With lots of room to note down your doctor's answers and an extensive index, this book is a must-have for anyone who has, or is about to have, Minoxidil prescription medication, and indispensable for healthcare providers who want to make sure they are able to answer every question.